The search is on for junior athletes to represent Lake Macquarie next year at the world’s largest multi-sports youth games competition. The 53rd International Children's Games will be held over five days from July 9-14, 2019 in Ufa, Russia. The Hunter Academy of Sport (HAS) in partnership with Lake Macquarie City Council are pleased to announce they will send a team to the Games. Lake Macquarie was the first city in the southern hemisphere to host the games to host the 48th Summer International Children’s Games in 2014. “Participating in the Games is not just about the competition, it’s about travelling overseas, discovering other cultures and meeting peers from around the world,” Lake Macquarie mayor Kay Fraser said. Academy commercial operations manager Karen Turner said entries were open to athletes and coaches in track and field, swimming and rock climbing. “The Games bring together an alliance of cities and individuals from around the globe with a common goal of forming friendships and peace through sport,” Ms Turner said. 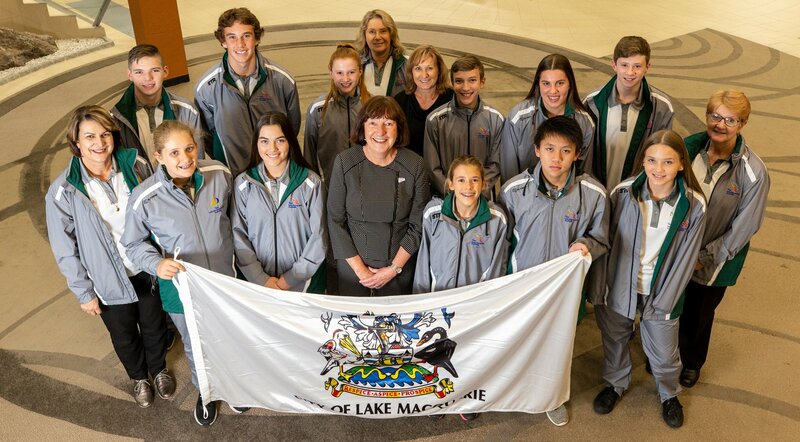 Entry to the Lake Mac ICG 2019 team is open to athletes born in 2004, 2005 and 2006 who either live in Lake Macquarie or attend a Lake Macquarie school.